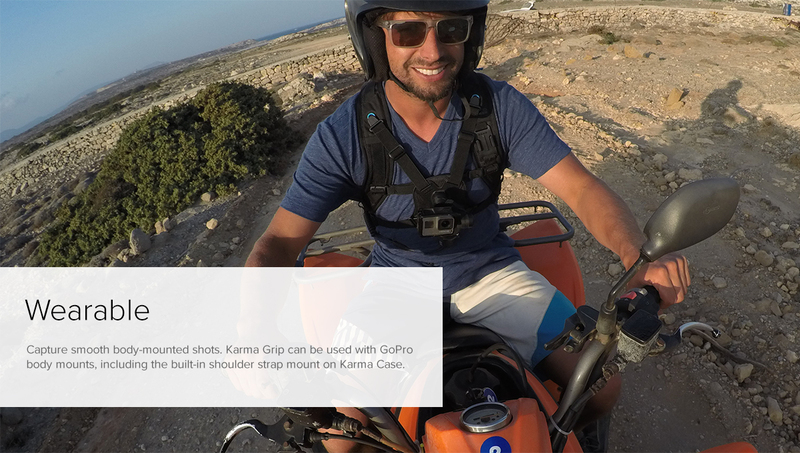 Capture professional quality footage in the air with the GoPro Karma, which has a detachable HERO5 stabiliser mount that reduces motion blur. The stabiliser can be easily removed and used as a standard GoPro mount, so that every shot is enhanced whether you’re filming handheld, with the included grip, or with your regular mounts. 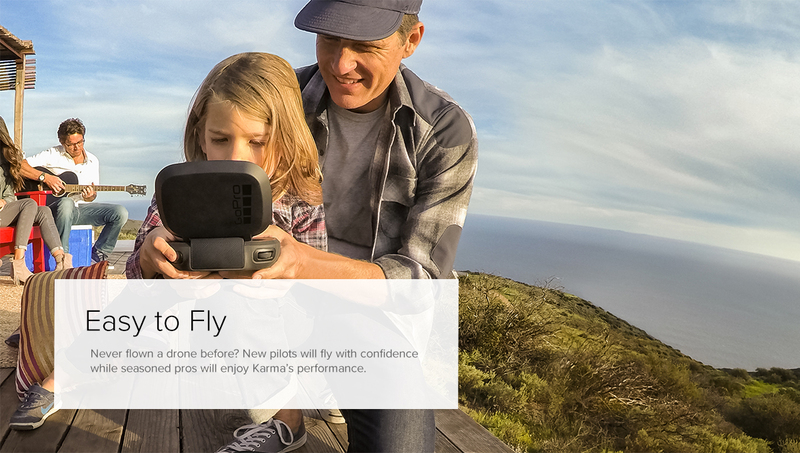 The easy to use controller lets you stream what the drone sees live, while the GoPro Passenger app is perfect for sharing your flight with family and friends. 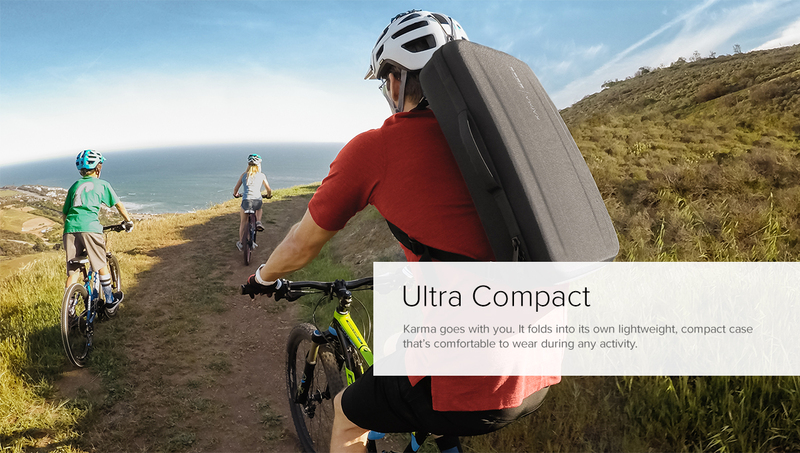 Thanks to the lightweight, folding design, the GoPro Karma is easy to pack away and take with you on every adventure – so you can enjoy a whole new view of every setting. Ultra smooth video - handheld or mounted. 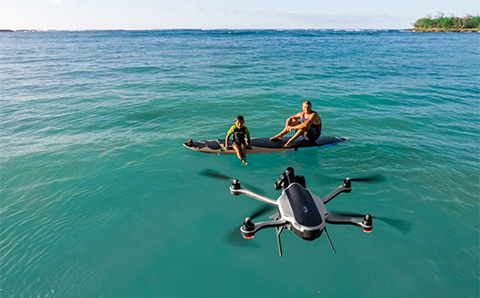 Easy-to-use, game-style flight and camera control. 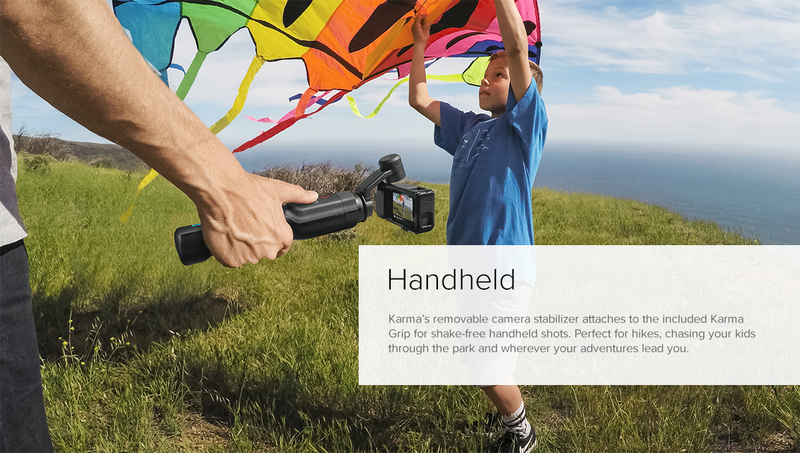 On-the-go storage, plus a built-in shoulder mount for Karma Grip. Karma™, 3-Way™, Remo and more. 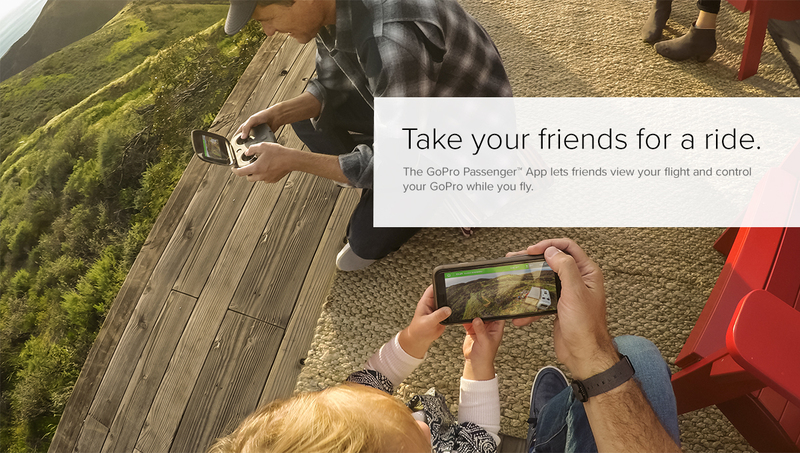 Capture and create stunning videos on the go. Our mobile and desktop apps make it easy.